Product prices and availability are accurate as of 2019-04-20 06:51:05 UTC and are subject to change. Any price and availability information displayed on http://www.amazon.com/ at the time of purchase will apply to the purchase of this product. In the final chapter of the Twilight Saga phenomenon, the birth of Bella and Edward’s child brings conflict between Bella and her lifelong friend, Jacob, and an all-out war between the Cullens and the Volturi. 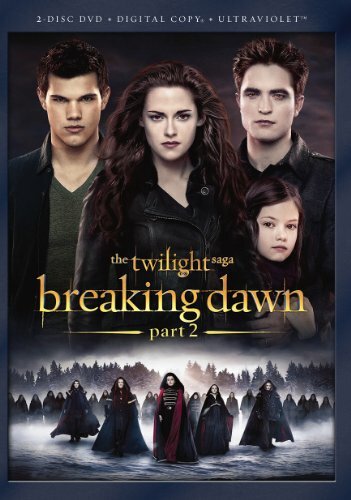 Twihards, rejoice! In The Twilight Saga: Breaking Dawn, Part 2, love for Bella and Edward is not only triumphant--it's a love story for the ages. The finale in the wildly successful Twilight teen vampire romance saga will satisfy every passionate fan, and yet is broad enough in its appeal that even those who think they aren't invested in the Bella-Edward story will be drawn in as well. Breaking Dawn, Part 2 is breathtakingly beautiful, with sumptuous cinematography showing off the stark beauty of the Pacific Northwest, especially in the dead of winter. And speaking of stark beauty, Bella (Kristen Stewart) is even more ravishing than ever. She awakens at the beginning of Breaking Dawn, Part 2 as a "newborn" vampire, having been "turned" as she was dying during the birth of her and Edward's (Robert Pattinson) half-vampire daughter. Vampire Bella flies through the forests barefoot in a royal-blue sheath, no hint of post-baby body weighing her or her new superpowers down. Bella and Edward waste no time making good use of the cozy new cottage in the woods and its enticing bedroom. "Why do we need a bedroom?" 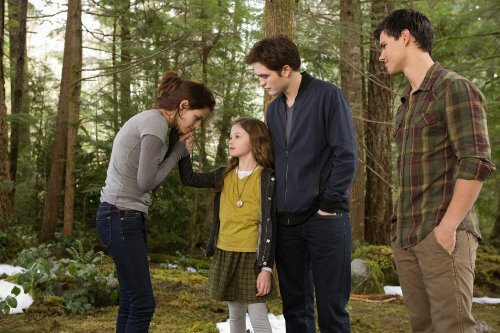 Bella asks Edward. 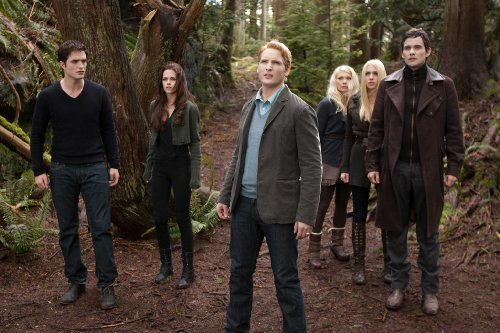 "We're vampires, we don't sleep." Edward, adoration in his eyes, quickly shows her the answer.